Winter Park lies 70 miles west of Denver, in the beautiful Colorado Rocky Mountains. 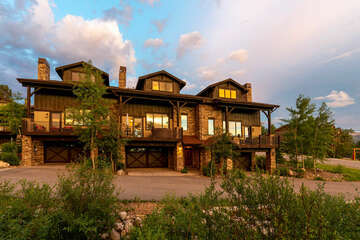 Best known for world class skiing at Winter Park Resort, the area is also a year round destination for outdoor recreation, sporting & music events, and family vacations. Winter Park Lodging Company is a locally owned and operated vacation rental management company, with 150+ vacation rentals in the Winter Park area. Our carefully selected collection of properties salute every interest, from ski-in, ski out condos to exquisite mountain retreats. We are more than just a vacation rental company, and our 3000+ guest reviews reflect this. We pride ourselves on delivering a 5 star service to our guests and property owners. From in-room ski rental services, to a 24 hour emergency line, we will do everything in our power to provide our guests with the best Winter Park experience. Our mountain vacation experts are available 365 days a year, to help you plan and enjoy every second of your Winter Park vacation. "Great condo in a very convenient location. Nicely appointed with great selection of kitchen utensils. Comfy bed. Washer and dryer. Garage is a plus. Only negative point is it can get noisy being located right next to the village gondola but at times the guys play wicked music so not all bad. MANAGER COMMENTS: Thanks John. We'll be sure to let the "lifties" know to keep it down....a bit! Please reach out to us again when you come back to Winter Park." 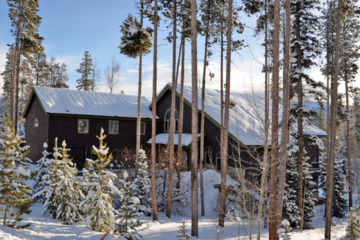 "We have been going to Winter Park and staying in the base lodging for 8 years. We love the convenience and how clean and well kept it is. In this particular accommodation, I have to say it was one of the best stocked with regards to kitchen stuff. Enough pots and pans, spatulas and all the required tools for the kitchen. Even better it had spices, cooking oil, maple syrup and other stuff that proved very useful. It also had enough pillows to meet everyone's needs and blankets. Loved the place! MANAGER COMMENTS: Fantastic! We are are so pleased we could host you again for another stay Gary. It's always such a pleasure to have great return guests like you. We hope you'll call again when you're back to visit Winter Park next April." "We had a great time at Winter Park at this condo! 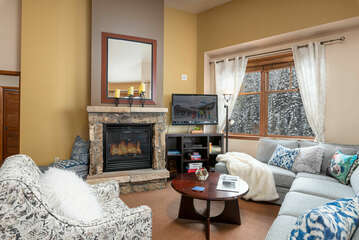 Perfect location and Winter Park Lodging Company was great in taking care of all our needs! MANAGER COMMENTS: Excellent! Thanks for sharing your experience with us Amanda. We'd love to host whenever you make it back this way." "Nicely stocked kitchen. Great location in building with a short walk to slopes. Family had a great time! MANAGER COMMENTS: Wonderful, thank you for sharing your stay Irene. Please reach out to us again when you come back this way." Our local team is here 7 days a week to answer your questions or discuss any special requests you may have. If you would like to learn more about the Winter Park area, download our free Winter Park Lodging Company App for more information on Winter Park Restaurants & activities, Winter Park events and whole lot more..